The Australian Criminal Intelligence Commission (ACIC) recently released the Organised Crime in Australia 2017 (OCA 2017) report, providing an overview of both the current and emerging organised crime threats affecting the Australian community. One key theme presented in the report is that organised crime in Australia is ‘transnational in nature, technology enabled and increasingly functions as a business: employing professionals and outsourcing key activities such as money laundering’. There is a growing prevalence of cybercrime, which is defined as ‘crimes where computers or other information communications technologies are an integral part of an offence, such as online fraud, identity crime and the distribution of child exploitation material.’ Cybercrime can be committed against individuals, businesses or governments, from anywhere in the world. These crimes are particularly difficult to investigate as there may be collaboration from a number of parties based in diverse geographic locations. Where once criminal networks were contained by geographic boundaries, increased access to the internet and technological advances have allowed overseas criminal organisations to target thousands of Australians. 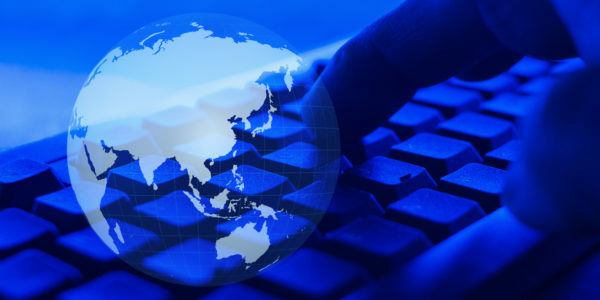 The majority of transnational criminal activities are enabled by the use of technology, which allows cyber criminals to target victims anywhere in the world while taking advantage of the anonymity and increased efficiencies that these technologies provide. The primary technologies currently used to facilitate transnational organised crime are virtual currencies and encryption. Virtual currencies, the most common example being Bitcoin, are increasingly being used by organised crime organisations as they are a form of currency that can be traded anonymously online, and are not subject to formal regulations such as through a central bank or financial institution. High-end encrypted smartphones, communication devices and software applications are the primary means of communication for organised crime groups, allowing them to commit serious crimes and circumvent criminal investigations. Money laundering, a potentially lucrative criminal enterprise in itself, continues to be a significant enabler of transnational criminal activity. Professional money laundering organisations provide global services to criminal organisations, allowing them to move illicit funds without detection and continue to expand their criminal activities. Ransomware is a form of malware that encrypts the victim’s files, preventing them from using their computer/files until a ‘ransom’ is paid to a cyber criminal. This sum of money is most commonly demanded in the form of Bitcoin payments, due to the lack of traceability. Identity crime, where a victim’s personal information is stolen and sold online for fraudulent use, commonly occurs through methods such as hacking online accounts or personal information available on social media, and can be committed from anywhere in the world. These increasingly prevalent crimes are enabled by technological advancements that provide increased numbers of platforms to access child exploitation material (CEM), along with greater access to encryption and anonymity tools to disguise online activities. The growing popularity of social media platforms and online gaming forums, combined with increased internet and mobile phone access, provides cyber predators with an unprecedented ability to target children online. How is Australia Responding to Transnational Crime? The National Organised Crime Response Plan 2015–2018 explores Australia’s response to the growing threat of serious and organised crime. Due to this threat becoming increasingly transnational in nature, the ACIC recognises the need for international collaboration between industry, governments and law enforcement agencies, to provide a collaborative response to this threat.